Wanted- Hartwell Males to Join the Hartwell-Y DNA Study Project.Click Here The new genealogy for generations 6-10 is currently in active compilation. Don't miss out, contact Joy now with any additions or updates! Were you or any Hartwell ancestors included in the 1956 Hartwell genealogy? Many of us bearing the name of Hartwell are unaware that an organization exists known as the Hartwells of America. One of our association objectives is to sponsor the collection of our history and genealogical material. In 1882 Mr. Lyman W. Densmore called together the Hartwells of the Boston area, with other branches from Virginia and Indiana, to form the Hartwell Family Association. 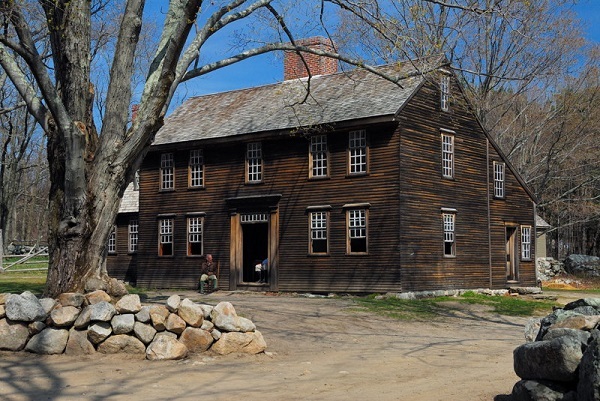 Meetings were held, usually in Concord, for ten or twelve years, and were well attended. The support of this organization enabled Mr. Densmore to publish his two books, The Handbook of Hartwell Genealogy in 1887, and The Hartwell Family in 1895. It is unclear why the organization was discontinued. Interest was maintained until 1891 at least, but Mr. Densmore was the moving spirit and it is possible his health was beginning to fail. He died in 1898. In 1937, Claude S. Hartwell, a young lawyer from Boston, called together all the Hartwells within 50 miles of Boston. About 50 responded, and an organization was effected called the Hartwells of America. A genealogical committee was appointed, dues were set, and the annual meeting was fixed for the last Saturday in June. Meetings have been held every year since then,with the exception of one year during World War Two. In 1958, John Hartwell published what has been up until recently perhaps the best known Hartwell genealogy, "The Hartwells of America", with a supplement also printed in 1958. Although John Hartwell's book has some serious errors, it was still a tremendous effort for the time and has greatly increased awareness of our family genealogy. The Hartwells of America Association is currently focused on putting the next volume of the new genealogy, covering generations six through ten, into print. Serious errors from previous genealogies have been corrected. Like her previous work on the earlier generations, Editor-in-Chief Joy Hartwell Peach's research, verification, and attention to detail is superb, as is her reputation as a Genealogist. The written purposes of The Hartwells of America are "to hold meetings and preserve records, memorials, histories and genealogies" but it is hoped that our activities will result in the formation of pleasant and lasting friendships among us, as well as a shared pride in our common heritage. A new genealogy for later generations is currently in the works.If your ancestors were left out of the older genealogies now is the time to have them included in the new edition. Any updates or new additions would be gratefully received by our senior genealogist!